Using social media can help you to boost your fundraising and feel a part of the UK-wide #My75Miles community. Here are a few tips to help your tweets and posts to fly. When you registered for #My75Miles you will have created your own unique fundraising page. This is the route through which your friends, family, supporters and followers can sponsor you, so make sure you include a link to it in every post or tweet you send out. Social media is an ever churning machine and people’s feeds get filled up at break neck speed, so be sure to post and update regularly so that your followers and friends don’t miss what you’re up to. 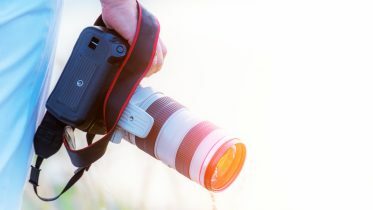 Posts and tweets with images and videos generate far greater engagement levels than those that don’t, so if you’re out training or racking up your miles, take some pics and post them up. You could even become a vlogger for the duration of your challenge, or live stream along the way. 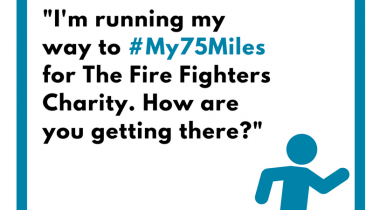 Don’t forget to use the #My75Miles hashtag in all your posts. This will ensure that your posts feature on our social media wall and will also mean that you can search Facebook and Twitter using the hashtag to see what other people are up to. Tag your friends and followers in your posts, encourage them to take on their own #My75Miles challenge and then why not compete with each other across your social media to see who can complete their challenge first or raise the most money. Remind people why you’re taking on this challenge and who you’re doing it for. You’ll find loads of information about the Charity here on the website, but if you’ve got personal experience of using our services, share your own story. Get creative with your social media and think about ways you can engage with your sponsors, keep them informed and keep them interested in what you’re doing. Don’t forget to thank those who sponsor you and keep them up to date with your progress.